It would not be possible for me to received such prestigious award without constant support and inspiration from my academic supervisor, the faculty and staff members in GSII. I am thankful to all. Methodologically, my PhD research has contributed an original idea about how visual research methods can be applied to the study of migration. Over the years, I have been fortunate to have the wonderful facilities at the iii Media Studio for my research. Specifically, the camera and editing facilities at the studio provided me a great possibility to develop the new methodological approach. In my PhD research I have achieved a deeper understating of unique trend of Nepali migration to Japan not only through conventional anthropological and sociological methods, but also developing the visual techniques: observing, recording and analyzing audio-visual data, and constructing an ethnographic film. In this respect it is important to note that the facilities at the Media Studio so helpful for developing my research. Utilizing the visual techniques as a medium of enquiry and communication with informants, I was able to connect the daily lives of immigrants in Japan and their families in Nepal, which show visually the relationship between them and their dynamic interaction in the migration process. The new approach allowed me to document the Nepali migration to Japan using sound and ethnographic visual data in addition to written texts and engaged with a wider audience than is usually reached by anthropological and sociological research. The ethnographic visual data allow deeper exploration of the emotions, feelings and experiences of migrants and their families, and reveals dimensions of their worlds different from those presented in written academic articles. The ethnographic film “Playing with Nan” based on my PhD research has already been screened and discussed at international conferences, symposiums, universities, and more than 60 international film festivals around the world and have won several awards, most notably the David Plath Media Award from the American Anthropological Association in 2014 (the award for the best academic work on East Asia that contributes to empirical as well as theoretical debate) and the Best Ethnographic Research Film Prize from the Royal Anthropological Institute in 2013, the United Kingdom’s top award for the ethnographic film. In addition, the film was screening at more than 50 local communities in Japan and Nepal which were opened to the public and provided an opportunity for general public to understand better the immigrants’ situation in Japan. In the context of limited research in Nepali migration to Japan, the results of my PhD research have become important resources of the Japanese government to understand better the changing ethnoscape and possible future of immigration in contemporary Japan, which may be useful in the formulation of immigration policies that would allow Japan with aging populations to benefit from transnational migration. 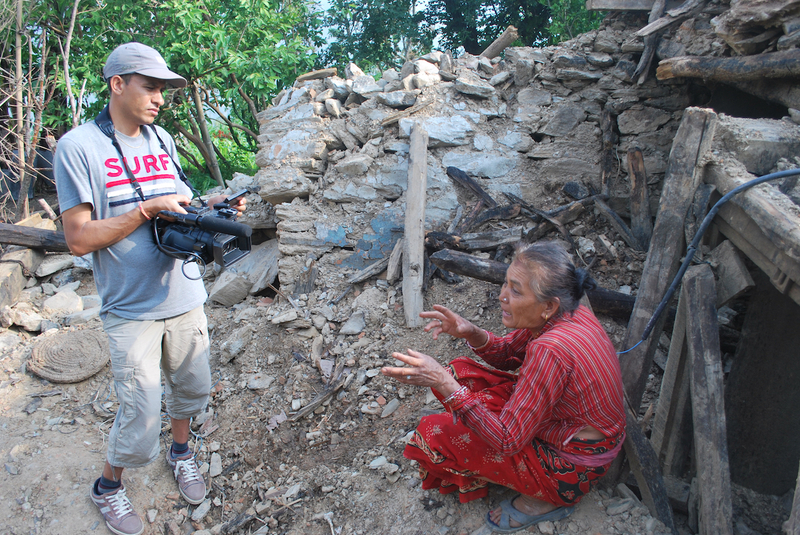 I am also thankful to the Media Studio to provide me facilities for recording and editing ethnographic visual data regarding the devastating earthquake Nepal. I have been presenting and sharing these visual images with Nepali diaspora communities, Japanese communities as well as global audiences, drawing attention to the disaster, and raising support and cooperation for reconstruction activities in the earthquake-affected areas, which has made me realize even further the value of visual research methods. Utilizing the facilities at Media studio, I have edited the visual data into a documentary film “A Seed of Hope” which already broadcasted two times through NHK BS1.